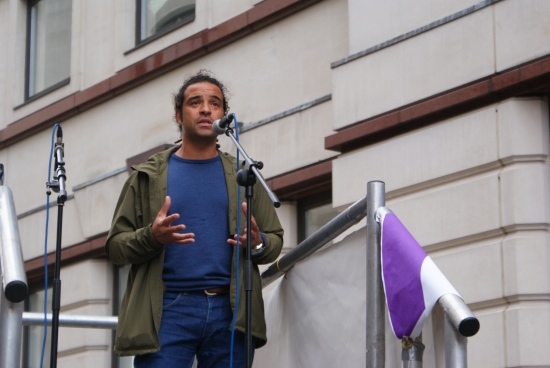 The BBC Panorama reporter Raphael Rowe told yesterday’s Rally for Legal Aid that the BBC and other news organisations are “not doing anything to look at the legal aid system”, and that that’s “a travesty”. “They should be doing more”, he said. Earlier, he’d explained that he owes a lot to the legal aid system. He mentioned in particular the importance to him, when he was a prisoner, of choosing his lawyer, Jim Nichol (who by the way has been in South Africa this year working on the Marikana inquiry, representing the families of those killed). Rowe made it clear that it was legal aid that enabled him to challenge the UK in the European Court of Human Rights, and that eventually led to the quashing of his 1990 murder conviction. If, he said, he’d “had to rely on the system that is being proposed today, I don’t think I would be on this platform”. I think that the Legal Aid reform will be welcomed by the public.